As the launch of the Samsung Galaxy S10 smartphones draws near, renders, reports and information about the handsets has increasingly been circulating on the internet. 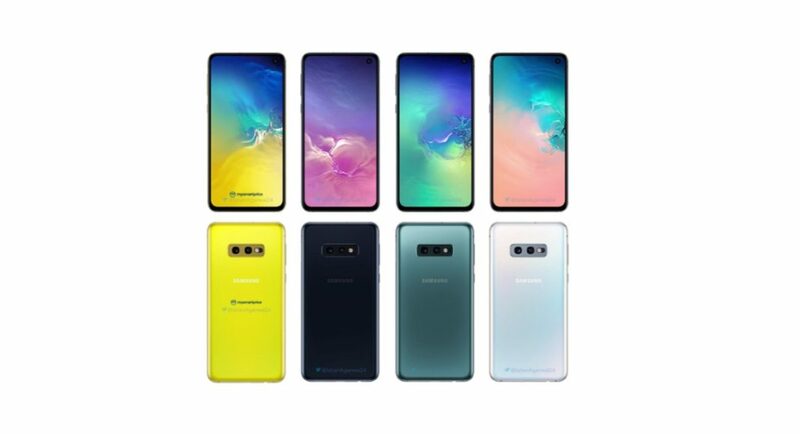 The company is set to launch three variants of the smartphone this year – Samsung Galaxy S10, Galaxy S10+ and Galaxy S10E. The series is all set to launch this month on February and now, a new render leak has surfaced online that shows the Galaxy S10E’s Canary Yellow colour option. We should mention that this is the first time that we have got a glimpse of what the Canary Yellow colour variant of Samsung Galaxy S10 will look like. The renders have been leaked by tipster Ishan Agarwal in collaboration with MySmartPrice on Twitter. In the image that has been shared, we can see a smartphone with a metallic frame that sports the Infinity-O display. The glossy back panel of the Samsung Galaxy S10E smartphone is shown to be of Canary Yellow colour and they house the dual rear camera setup of the smartphone. We should mention that the cameras on the back panel of the smartphone are stacked horizontally and Samsung’s logo sits right in the centre. Since this is the Samsung Galaxy S10E, it does not come with an in-display fingerprint scanner and has a physical fingerprint sensor instead. In the renders, the fingerprint sensor of the smartphone can be seen on its right edge and the volume rocker and a dedicated Bixby button can be seen on the left edge of the device. Agarwal has also shared an image that has all the colour variant of the smartphone, besides the Ceramic ones. He has also said that the Blue colour option will be made available later than other colour variants. That’s not all. The tipster also spoke about the dimensions of all the three smartphone variants that are set to be launched by Samsung. Samsung Galaxy S10E, which is the smallest among the lot, is said to come with 5.8-inch display and will measure 142.5×70.5×8.1mm. Samsung Galaxy S10 has been leaked to come with a 6.1-inch display and its dimensions will be 149.9×71.6×8.1mm. The most premium of all, Samsung Galaxy S10+, is said to have a 6.4-inch display and will measure 157.0×75.3×8.1mm. So, while the screen sizes of all the three smartphones are different, the company has tried to keep them all thin. The reason why Samsung Galaxy S10+ is relatively thicker than the others is that it reportedly houses a larger 4,000mAh battery. Samsung is all set to launch the Galaxy S10, Galaxy S10+ and Galaxy S10E smartphones at an event in San Francisco that has been scheduled for February 20. The technology giant has also hinted that it may launch the foldable phone at the event too.